The earthquake aspect of tsunami risk analytics is concerned with identifying a potential source of the wave. The most likely potential trigger is faults that are poised for thrusting failures that will either lift or lower the seabed. The likelihood of tsunami is thus modeled in a very similar way to earthquakes in general. Once the likelihood is handled, the potential intensity is needed. There are two distinct aspects to predicting the damage a tsunami can cause: the likely intensity of the triggering seismic event, and elevation above sea level. Interestingly, the key earthquake metric for tsunami intensity is a little different than those discussed in my previous post on earthquake intensity: Rather than pga or soil type, the metric is potential vertical displacement. The 2004 Indian Ocean earthquake and tsunami displaced small islands off the west coast of Sumatra, including Nias, changing their elevation above sea level by up to 10m (30’) in less than a minute. Last week (May 29), there was a huge earthquake 1000 km south of Tokyo, but it did not trigger a tsunami because it occurred hundreds of kilometers under the seabed, and didn’t effect the shape of the seafloor substantially. The actual tsunami wave is created by this sudden vertical movement of the seafloor, displacing cubic-miles of water by either sucking it down to a deeper depth or lifting it to a shallower depth. Either way, incomprehensible amounts of water are very suddenly displaced and the ocean reacts with the creation of a gigantic wave. 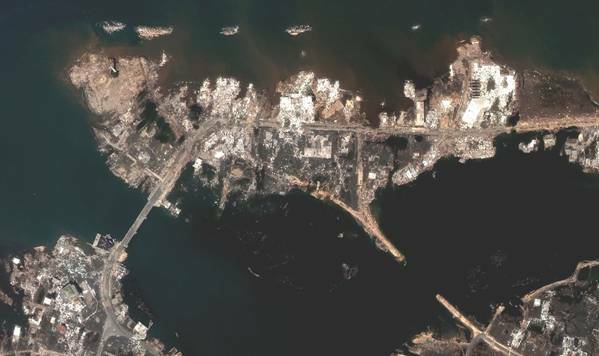 The tsunami in 2004 was heralded along the eastern side of the Indian Ocean by a sudden rushing out of the ocean from the shore, with the tsunami then arriving on shore. The photograph below, taken in Sumatra, shows the boats resting on sand behind a protective reef, with the tsunami about to strike. Assuming the person is about 5.5’, the wall of water is easily 30’ high. Once the water is on the way to coast, elevation above sea level makes all the difference. Everything at or near sea level exposed to a tsunami is usually destroyed, with the shape of the topography physically altered in many cases. Below is a comparison of Banda Aceh, on the northern tip of Sumatra, before and after the 2004 Indian Ocean tsunami. (In another case, even the more robust seaside infrastructure of Sendai, in northern Japan was demolished in 2011.) However, as the ground rises from the coast, the danger recedes – sometimes elevations of 5m to 10m means the difference between complete destruction and a more typical flood event. That small amount of elevation gain, such as getting onto a second-story roof, also can be a matter of life and death during a tsunami. With every foot or meter of elevation potentially vital, good tsunami models require good elevation data, preferably terrain (i.e., DTM or bare earth) data. The risk of destruction changes quickly as elevation is gained. While elevation data requires as much precision as possible, the location information is not important at all — damage happens on regional scale. Or it even happens on a continental scale, as in the case of the 2004 tsunami, where damage and fatalities were highest in Sumatra but also devastating in Thailand, and significant in India, Sri Lanka, and even far away Africa. 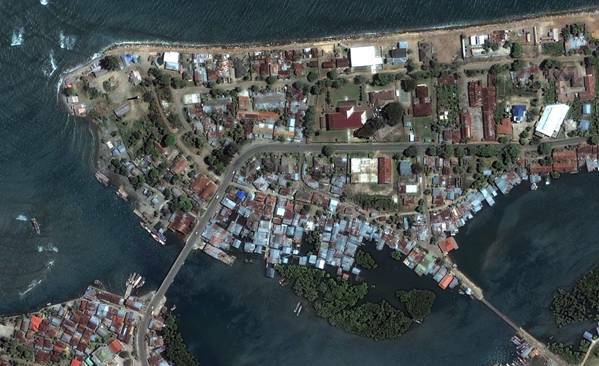 Address-level geocoding would only be useful for discerning elevation changes, but most elevation data around the Indian Ocean would be compatible with town-level . (Sumatra and Malaysia are the exceptions, with high quality DTM available in these areas). Tsunami is a peril for which there is no defense, only preparation. A comparison of casualties during the 2004 and 2011 tsunamis illustrates plainly how well Japan is prepared (230,000 versus 15,891). 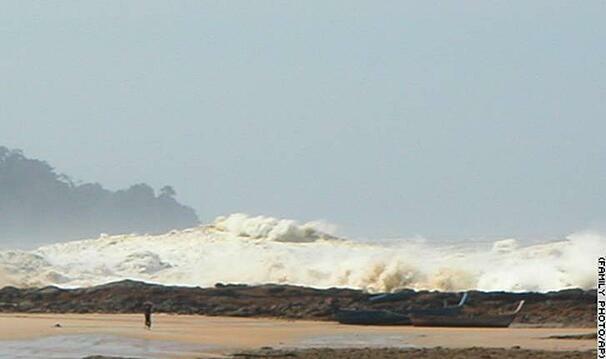 The waves that struck were relatively similar in size, and they hit similar populations. However, with minutes of warning, Japan’s preparedness saved many thousands of lives. People were able to get to higher places because escape routes were clearly marked, as they are in many of Japan’s east coast cities. Similar warning in Sumatra and Thailand had little effect, as there were few noted escape routes and nowhere to go. What would happen if a tsunami were to hit a North American coast? Because there has been no significant tsunami recorded in North America to date, there is little preparation. Likewise, there is little concern for tsunami insurance in North America. But the fact is that cities are exposed on both coasts, and the necessary trigger events are entirely possible. The risk is there, but maybe it’s too small to matter. Or, maybe not.